The Big Ideas issue of Law Practice Magazine is one of my favorite publications each year. As a member of the LP Magazine board, I love watching it take shape. The most recent Big Ideas issue not only has great content, but also one of my favorite covers for the magazine ever. Among the many great articles contained in this issue is Transforming a Law Practice with Technology by Nick Gaffney, one on how legal operations professionals can bring a data-driven approach to law firm budgets, and an article entitled Gray but Not Gone by Roberta Tapper and Elizabeth Deane, which focuses on the role of senior attorneys who do not wish to retire. There are also columns on artificial intelligence in the practice of law, the current state of digital maps and the Legal Board, a keyboard design for lawyers. Brooke Moore writes “Client Driven Firms: the Future of Law Is Now.” There can be no more true statement today about the future of law practice today than this one. Clients are pressuring the law firms that serve them to improve. Summer may be ending, but your summer reading list hasn't been completed until you have digested the big ideas contained in this great Law Practice magazine. 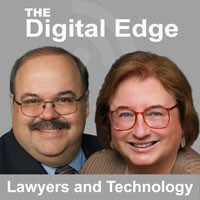 We really enjoyed recording our recent Digital Edge podcast- Teaching the Technology of Law Practice to Law Students. Three University of Oklahoma College of Law faculty members attended this year's ABA TECHSHOW, participating in TECHSHOW's academic track. Planning is underway for the next ABA TECHSHOW now and there will be an academic track for law school faculty again next year. So if you haven't yet gotten it on your calendar, now is the time. ABA TECHSHOW 2018 will be held March 7-10, 2018 at the Hyatt Regency Chicago. Whether you are a law school faculty member or a practicing lawyer, there's no better place to learn about the latest advances in law office technology, get advanced training on the tools you use and meet some really great people than TECHSHOW. And, yes, unless you are a recent law school graduate, things are changing in law school instruction just like they are in all aspects of our profession. Most law firms maintain a brief bank or forms library. Operating from prior work as a starting place has been a long-established work practice in many workplaces. As I previously noted in my Law Practice Magazine column Your Document Czar (July/August 2015), the way law firms produce documents is evolving as document assembly tools enter the workplace. We also can appreciate some risk with using “the last time we did this” as a starting point instead of using an established best practice starting point. Whether you’re going to automate the creation process or manually generate a document, every lawyer in every law firm should be operating from a flawless standard starting point. I’m far from alone in noting that law firms should invest in creating “gold standard documents” as this common starting place for the lawyers in the firm. Certainly there will be a continuing need for handcrafted and unique pleadings, briefs, contracts and other legal documents. But many of these creations may be improved if the drafter always starts from a gold standard. When we talk about the future of law, Implementing the Gold Standard, the subject of my column in the May/June 2017 issue of Law Practice Magazine, is a common sense practice for law firms. No matter what your view of the future, this is an important practice for your law today as well as for the future. What policies do you have in place to make certain your unique documents being created now are preserved as a future gold standard? It is the week of ABA TECHSHOW and a good way to get warmed up is to check out the TECHSHOW edition of Law Practice Magazine. The cover story is A Golden Age of Legal Tech Start-Ups by Bob Ambrogi. 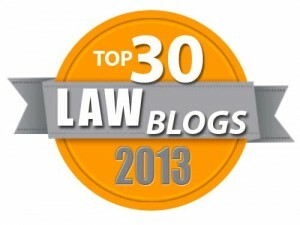 Other features cover topics from legal incubators to e-signatures. Columns include my observations on Managing the Robots, Tom Mighell on the Battle of the Workplace Messaging Apps, Pete Roberts on A 'Periodic Table' of Law Firm Profitability for Small Firms and Sharon Nelson and John W. Simek on Securing Your Law Firm's Website: A Critical Cybersecurity Task. If you think managing all of the lawyers and staff in a law firm is a challenge, just wait for that day (coming sooner than you think) when you also have to manage the robots working for your law firm. Despite the cool graphic the magazine production team found to illustrate Managing the Robots, I don’t think we are likely to see humanoid robots in law firms anytime soon. But I do think we are about to see more and more automated processes powered by smart technology systems. This brings up many challenges for firms that are used to supervising people as opposed to perfecting and managing automated processes. Which partner or partners try to lay claim to the machine-generated profits will just be the first (and loudest) of these issues. I hope to see you at ABA TECHSHOW this week. Our monthly Reading Room features reading suggestions for you from January and February, 2017 which cover a wide range of topics for the forward-thinking lawyer. Topics include "white dwarf law firms," the Smart Person's Guide to Apple's iCloud Keychain, the ABC's of Marketing and Business Development for Lawyers, dictation methods on the iPhone, blockchain for lawyers, a new JP Morgan AI software program that saves 360,000 hours of staff and lawyer time, Six Fundamentals For Handling Client Confidences, the Top Twenty-Two Most Interesting e-Discovery Opinions of 2016 and How An Introvert Can Build A Thriving Practice. Visit our January 2017 Reading Room and our February 2017 Reading Room.